Product prices and availability are accurate as of 2019-04-18 17:09:11 EDT and are subject to change. Any price and availability information displayed on http://www.amazon.com/ at the time of purchase will apply to the purchase of this product. 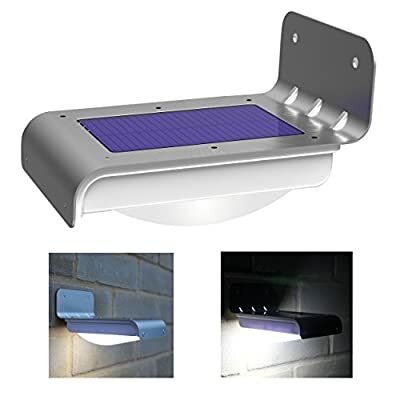 The Frostfire solar led outdoor light is a high quality light suitable as a security light or shed/garage light. The Frostfire solar light uses a powerful 0.6W solar panel to charge the light during the day. At night it lights up once motion is detected and turns off 30 seconds after motion stops. 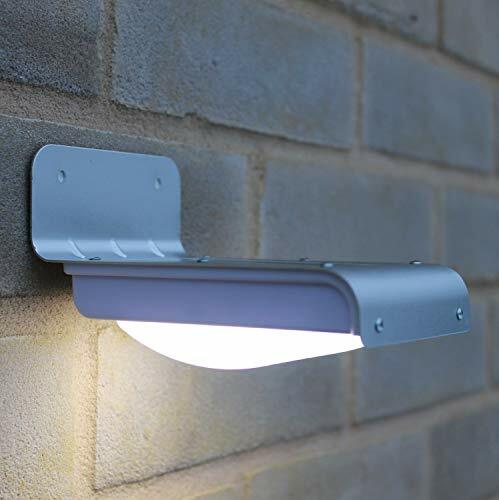 The Frostfire security light is easy to install with the screws and plugs provided. Specifications: -Light body dimensions: 4.75in x 3.5in x 15.in - Solar panel dimensions: 3.35in x 2.15in. Powerful 16 LED solar outdoor light, waterproof and heatproof Activates bright light when inside the 3 metre activation zone. No batteries, no cables, easy to fit Modern, stylish and simple design. Solar panel life span: 5 years - LED Life Span - 50,000 hours Kit includes one solar light, activation key, two screws and wall plugs.